(MENAFN - The Conversation) South Africa is one of four southern African countries aiming to eliminate malaria transmission by 2023. Indoor residual spraying using DDT and pyrethroid insecticides constitutes the backbone of South Africa's malaria control programmes . Despite a concerted effort to eliminate malaria in these provinces, transmission has remained steady over the past decade . Failure to eliminate malaria transmission is attributed, in part, to resistance to the insecticides being used. 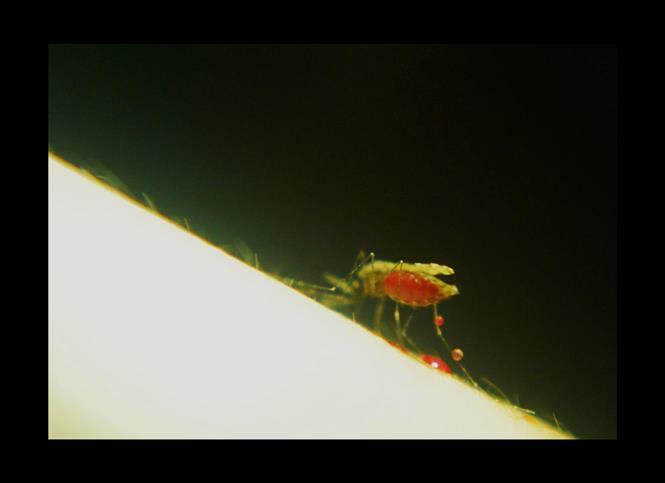 Added to this is the challenge of controlling the outdoor-biting Anopheles arabiensis population that's largely considered responsible for most malaria transmission in the country. Indoor spraying isn't completely effective against this mosquito because it mainly targets indoor biting and resting mosquitoes. This strategy is not adequate against vectors that sometimes feed and rest outdoors, such as An. arabiensis. The sterile insect technique has been applied successfully against other insect pests including the fruit fly and the new-world screwworm fly . In South Africa this technology is routinely used in Citrusdal, Western Cape to control the false codling moth . This phase aims to test the feasibility of the sterile insect technique through a small-scale pilot field demonstration in northern KwaZulu-Natal. Research activities for phase II are in progress. The biggest development here is the building of Africa's first pilot mosquito mass-rearing facility. The sterile insect technique relies heavily on inundating the wild population with sterilised male insects. For this to succeed, it's important to know the size of the wild mosquito population as this will determine how many laboratory-reared sterilised males would need to be released. In addition, it's critical to get the community involved and addressing any social issues so that people cooperate and participate. This is particularly important because the sterile insect technique can be seen as increasing the numbers of mosquitoes in an area after the release of the sterile males. A malaria awareness campaign has already been conducted. Information on malaria transmission and control – including the potential of using the sterile insect technique – was shared through radio interviews, brochures, road shows and lectures in isiZulu.